I will not visit any country as a tourist that requires a visa for an American passport holder except for Brazil. I will visit countries that grant visas upon arrival at the airport. Let me start with last part first. Why is Brazil an exception? Well, it has been my dream to visit the statue of Jesus Christ in Rio de Janeiro. As for the first part, “requires a visa”, I refuse to accept the process of obtaining a visa by downloading an application, filling it out, getting a money order, and then mail all the required documents to an embassy in Washington D.C. in order to obtain a visa on my American passport. My rejection to the process is a symbolic one. Why do I refuse to do that? The process of applying online reminds me of my old days. I consider it to be a modern extension of a degrading and humiliating process. The principle is not based on one bad experience, or against a specific country’s visa policy. It is my decision to deny those countries the pleasure of participating in their tourist economy – a pay back time from my old days. They didn’t respect me when I was holding an Iraqi Passport. Now, they respect me because I am holding an American passport, and want my money. This is from a dark part of my life. 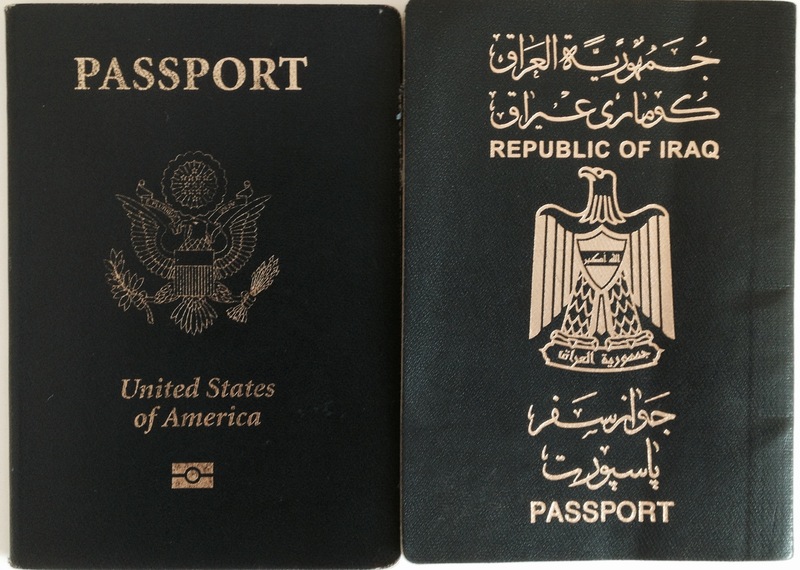 It is bitterness expressed by an anger of 5 years of humiliation and disrespect by the majority of countries around the world to Iraqi passport holders. Because Saddam was in power, Iraqis had to travel to Jordan in order to apply for a visa to any country – Baghdad had no foreign embassies after the 1991 war. As part of the sanctions against Iraq, almost all countries refused to issue tourist visas for Iraqi citizens; a few countries issued visas under extreme and harsh restrictions. Malta and Cyprus were a few exceptions where Iraqis could obtain a visa very easily. A period between 1992-1995, I used to stand on the streets by the embassies in order to request an appointment. I needed a visa to leave Iraq during Saddam’s regime. Almost all of Iraqis were given a blanket denial. This was very degrading and humiliating. Just because a person is born in a specific country, she is cursed or privileged by a passport? I couldn’t understand their extreme treatment against the Iraqi people. I used to complain and think of it as “double curse”. In Iraq, I had the curse of Saddam. Outside Iraq, I had the curse of being Iraqi. But, I am the same person. I guess because I am holding a certain country’s passport, it means I deserve more respect, or less? If countries had a specific policy against the Iraqi regime, then the Iraqi people shouldn’t have been subjected to it. As a first hand witness to 10 years of sanctions, I can state emphatically that they don’t work. Sanctions don’t punish government; it is a blanket punishment against the people. It has a negative counter reaction against those countries that impose them. I am one of those who still carry that past. Back then, when I had no choice, countries wouldn’t welcome me in. Now I experienced the ease of entry by holding an American Passport, going through the application process reminds me of the old denial. And I just don’t want to re-live it. America might be a place to bury memories, but history isn’t easy to forget. * Please share your thoughts! At first, I thought you were being ridiculous, but your point is well-made. It’s not fair. I was not even born in Iraq, but I am involved in charitable work for its suffering minorities. The struggle we had to go through due to the sanctions that major financial institutions have placed against Iraq were such a PAIN. I understand everyone’s fear of terrorists, but why punish every citizen of that country? It only increases prejudice. I will never forget when I went to the bank, was treated like a special guest as the banks in America treat all potential customers, and then was treated like garbage as soon as the word “Iraq” came out of my mouth. I was prepared to provide a perfect paper trail of all revenue and expenses. They did not care that it was for humanitarian work or any documentation I had. I will never forget that. So, I understand how you feel. Thank you Ranna…I agree indeed! It’s really hard to forget terrible experiences one has to be subjected to because of racism and discrimination. It may be difficult to move forward, and there will certainly be times when a simple event or requirement will force you to remember such an experience. Hopefully, you’ll be able to visit Brazil and enjoy the sights and sounds, especially during Carnival.